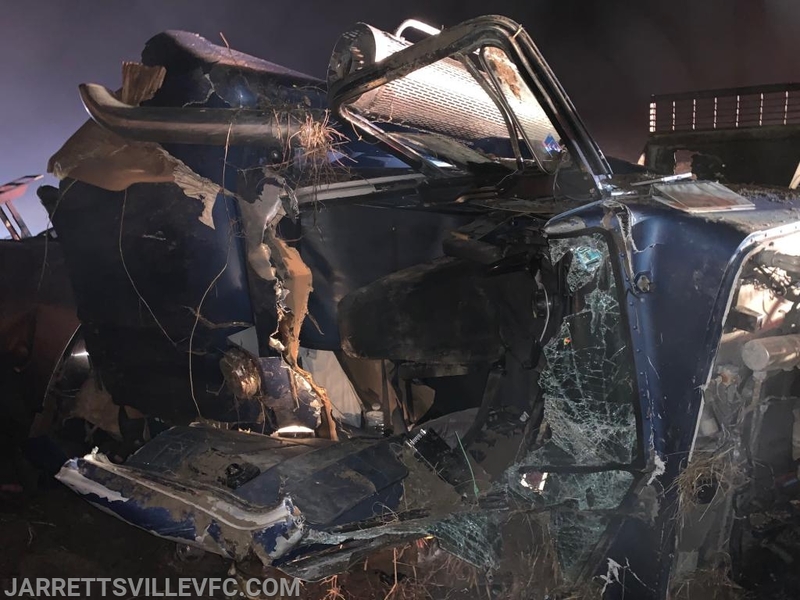 The Jarrettsville Volunteer Fire Company was alerted for a motor vehicle accident with rescue in the area of Fawn Grove Road and Route 165. Rescue 751 arrived and reported a single tractor trailer on its side on the embankment. Rescue 751 removed the windshield and cut the roof off to gain access to the patient. Medic 791 was awaiting and took patient care of the single occupant of the vehicle. 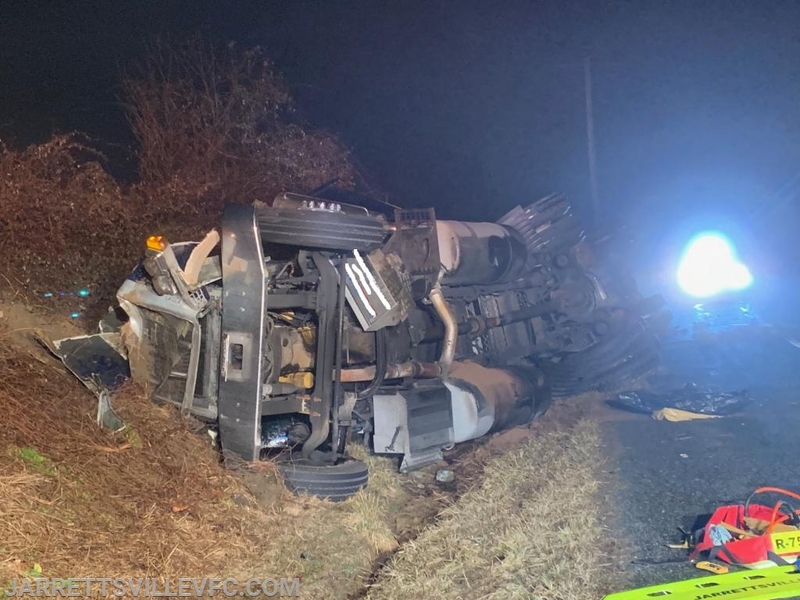 The Harford County Hazmat Team was requested due to a leaking fuel saddle tank. 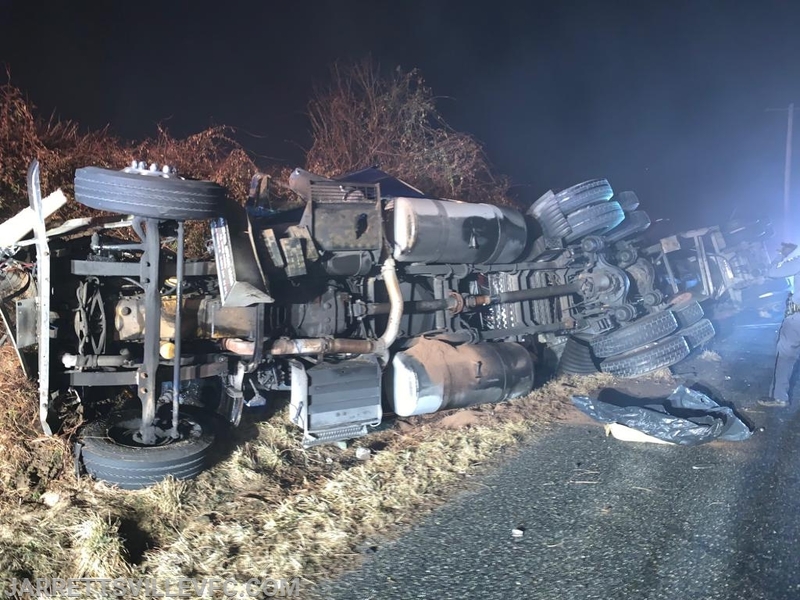 Units remained onscene for an extended period of time before returning to service.